Now that Thanksgiving has past we are so excited to dive into Christmas decorating! Whether you have already started or plan on trimming your tree this weekend we have the perfect craft for you! 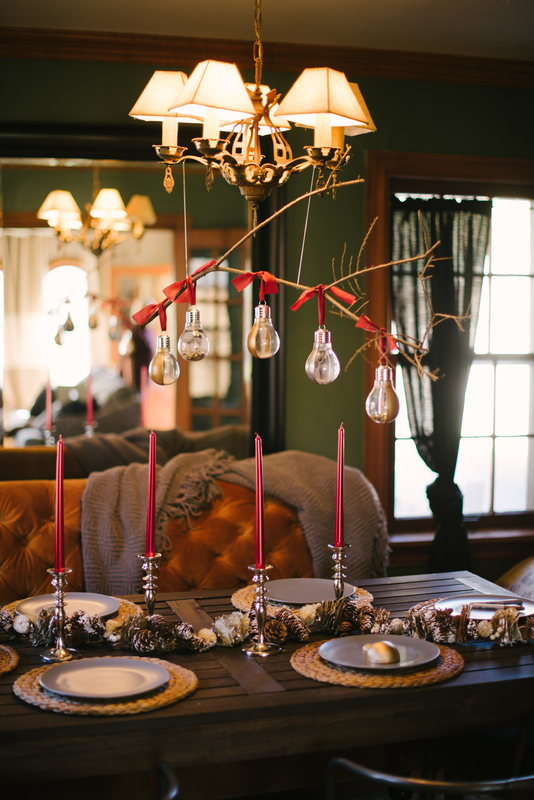 We are excited to share this festive tutorial from Silver Cup Artist Haleigh of XO Events & Design. These memory globe ornaments are simple to make and perfect for adding each year! Read a note from Haleigh below then continue on for step by step instructions! Growing up, my favorite Christmas tradition was sitting at my Great Grandma’s dining room table and making ornaments out of satin colored balls, beads, pins and a thumbnail; all while listening to classic Christmas music. When I think about Christmas time, it’s the first memory that pops into my mind. Which got me thinking… why not turn our memories into ornaments themselves, and relive the most special moments in our life every Christmas? Your first home, your first child, an engagement, a marriage, whatever the memory may be; there are so many sweet moments in life that deserve to be reflected on time and time again. With just a few craft supplies, we’re going to pair this concept with a snow globe to create a "memory globe” you will cherish for years to come! 1. 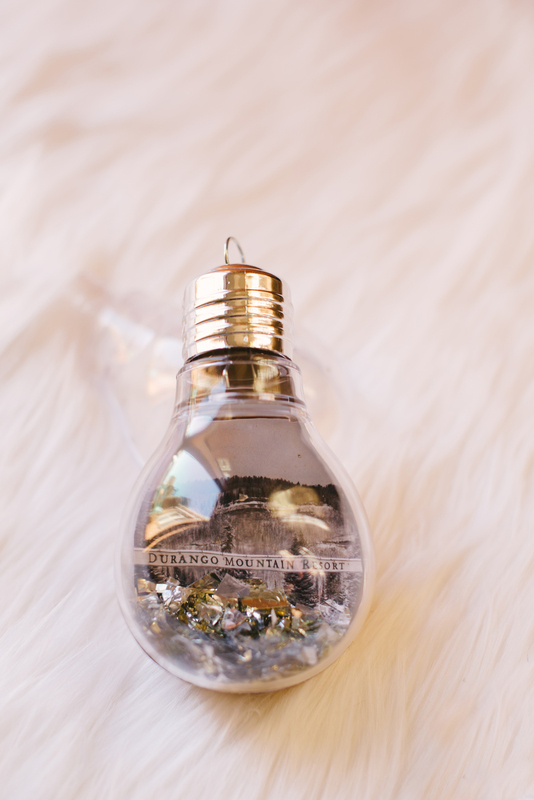 Print off photos you’d like to place in your bulb. To get the look shown in the photo, you can simply resize your favorite photos to around 35-40% and print in black and white onto regular copy paper. I decided to print off a photo from a trip my husband and I took to the mountains in Durango, CO to ring in 2015 together. 2. 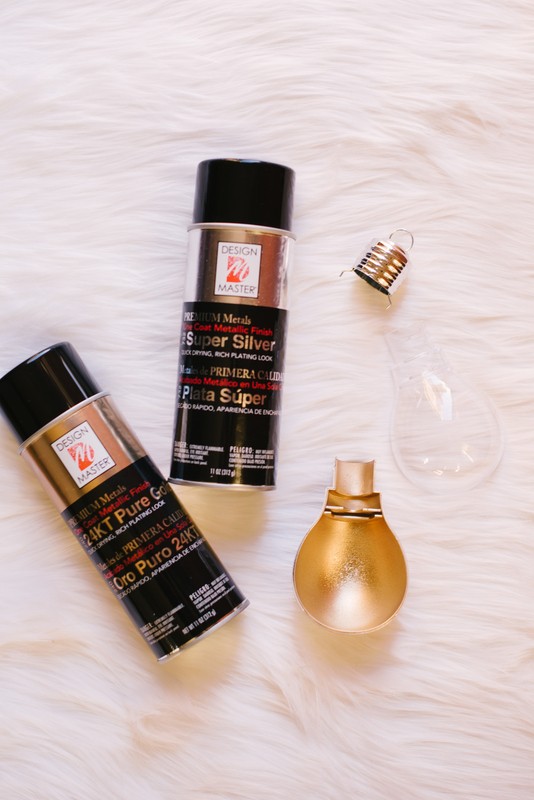 Deconstruct your bulb and spray paint one side with metallic spray paint. Feel free to get creative with the color. I chose gold. Let one side dry and paint the other side as well. For a glossier finish, you can choose to only paint the inside. Let it dry completely. 3. Use a metallic permanent marker to write the memory you are sharing. ex: “ Our First Ski Trip 2015 “ was the memory I chose to document. 4. Place clear side of bulb over photo and trace around the image. 5. Cut image to shape and place inside metallic side of bulb. The image should fit snugly and not move around. 6. 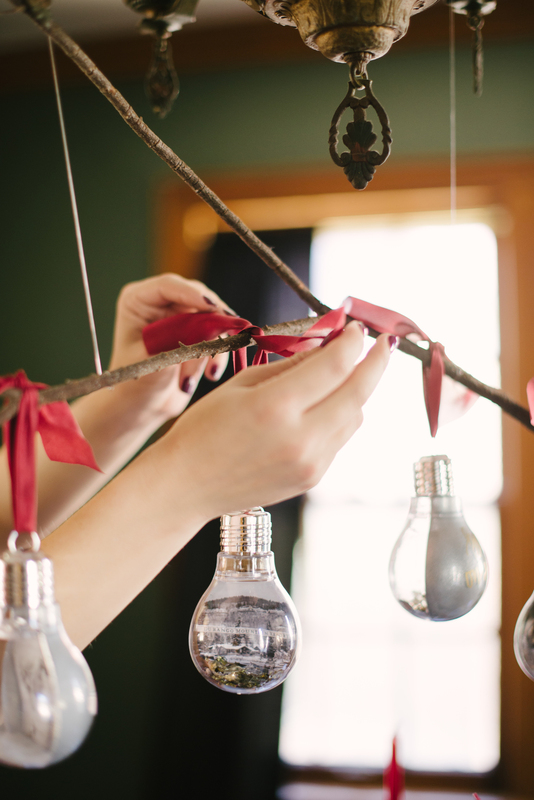 Add snow (white glitter) or celebratory confetti to the clear side of your bulb. 7. Place metallic photo side onto the other half and attach the top back on. 8. 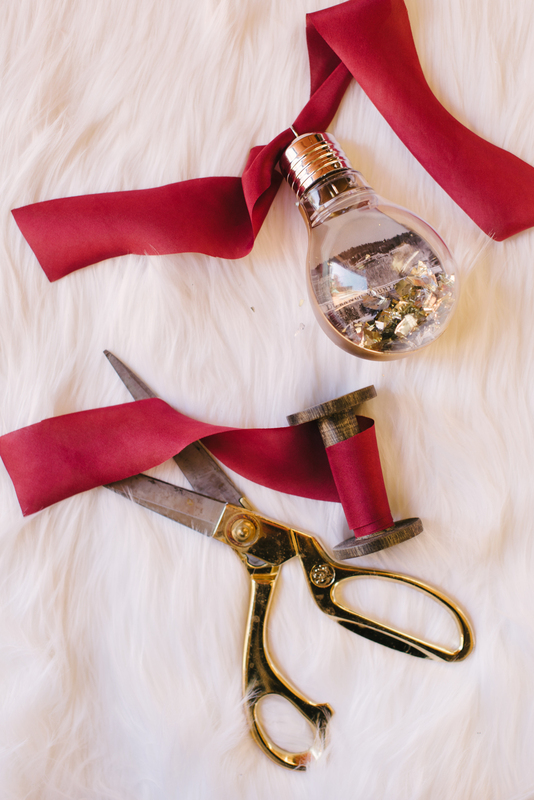 Choose a ribbon that compliments your color scheme and attach to bulb. 9. Hang on your tree, or try hanging from a branch! Enjoy your creation for years to come!